Jenny Davis is the head of the School of Environment at Charles Darwin University. The major theme of her research is to determine the critical processes that support the persistence of inland aquatic ecosystems and freshwater biodiversity under multiple stressors, including global climate change. 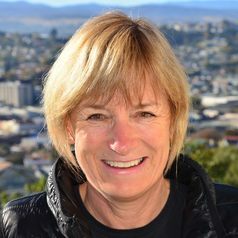 She has undertaken projects on freshwater biodiversity and wetland management in all Australian states and Malaysia (Sarawak) and holds datasets spanning 25+ years for wetlands in central Australia and Western Australia.